Saturday marked the 10th day since the ARA San Juan submarine reported its last position off Argentina’s southern coast. Reports of a sound detected underwater near the last known position of the vessel suggest it might have imploded after reporting an electrical problem. The families have said they suspect the more than 30-year-old vessel was not properly maintained, a charge the government denies, and that the navy has been slow in sharing information with them. 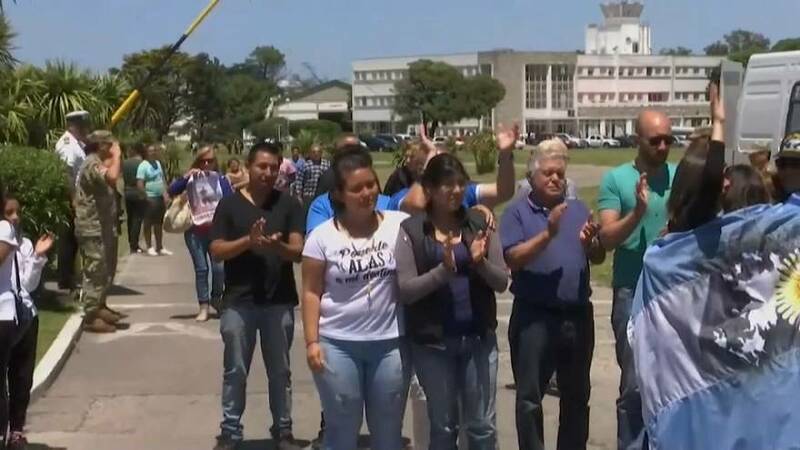 Relatives expressed anger at the level of funding of the armed forces, whose budget has declined since the fall of a military dictatorship in the 1980s. But citing respect for the families, navy spokesman Enrique Balbi declined to say anything to confirm the now-common belief that the crew had perished. He said seven ships were braving three-metre waves to map the ocean floor where the San Juan was most likely to be found. The U.S. Navy said it had deployed unmanned underwater vehicles, or “mini-subs” equipped with sonar, to join the search. A Russian plane arrived in Argentina on Friday carrying search equipment capable of reaching 6,000 metres below the sea surface, Balbi said. The search effort also includes ships and planes from Brazil, Chile, Great Britain and other countries.